Does your sales process continuous? Right from Lead inquiry to payment, is everything done on time without any small break? Unfortunately, many of your answers will be NO. What’s the reason? Let’s see. It’s been a while since businesses all over the world started using the CRM and Accounting Software to efficiently manage their sales process and payment info. As these two are completely disjoint from one another, this often becomes chaotic to manage all our data and finally slows down our entire process. To get this more clear, let’s imagine a sales situation: As a usual work, a sales rep emails a quote to the client. The client replies back that they would like to go ahead. So the sales rep forwards the quote to the accounting team to generate the invoice. Now the accounting team enters all the data into the Accounting software to create an invoice and then suddenly notices that the sales rep used outdated product pricing. What a horror that would be? This leads to payment delays or even you may lose the deal. So connecting your CRM and Accounting Software is very much needed. This is why we offer different extensions to combine your CRM and Accounting Software: Vtiger QuickBooks and Vtiger Xero Integration. With this, you can bidirectionally sync Contacts, Products, Invoice and Sales Order. No more manual exchange of data, you can sync all your data in just a single click. 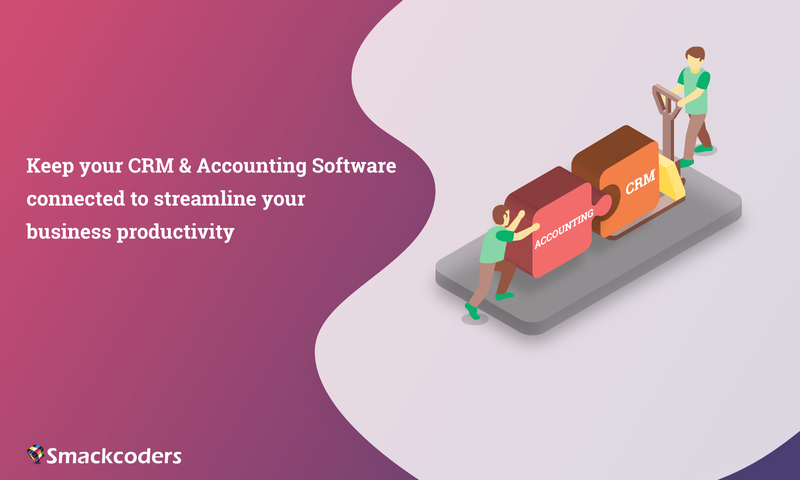 The connection between your CRM and Accounting software is made more securely with QuickBooks or Xero API. Keep your growing data library more accurate and up-to-date. You can sync all your data instantly in just one go. You can also schedule your sync to run at periodic intervals. Easy to keep track of your sync logs for both instant and scheduled sync separately. Keep yourself away from engaging online all time to know about your sync reports. Get notified right inside your mailbox. You can trigger notifications at the instant of sync completion or weekly or monthly once. Go ahead and give it a gyre and let us know how it works for each of your unique business.